Giving Gladly: How much to push the envelope? How much to push the envelope? This sprang out of the last post on how to talk to people about giving. If you're trying to persuade people, it's unclear how far to push things. I hope there are studies out there on the optimal approach, but I haven't seen them. John Woolman was an 18th-century American Quaker who was ardent about the abolition of slavery before abolitionism was really a thing. His friends found him kind of embarrassing because he would do things like refusing to use silverware at his friends' houses because silver was mined by slaves, or paying his friends' slaves for their work when they served him dinner. But he was successful in persuading some of his friends to free their slaves, and in retrospect his actions look heroic because he brought abolitionism onto the map. I once assumed that Woolman was the kind of person who found it easy to do socially provocative things — I think we've all met That Guy at some point. But when I read his account of his life, he actually describes finding it really difficult and embarrassing to break social convention. He did it despite his discomfort, because he believed it was really important. That makes me respect him a lot more. I often find myself getting annoyed with vegan activists for breaking social convention. Then I wonder if I'm dining with modern day Woolmans. 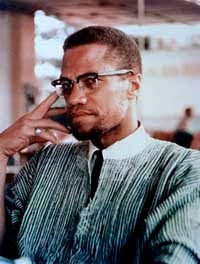 Malcolm X was not worried about offending white sensibilities, calling King a "chump" and demanding social change rather than going the more incremental route. And yet he, too, was very careful about some aspects of presentation — I challenge you to find a picture of him not wearing a tie. There's one picture of him wearing a dashiki, but he's actually wearing a tie underneath. Related: Peter Hurford on using weirdness wisely. It might be good for a movement to have some of both strategies. Some people/organizations play it safer and gain respectability. Others push the envelope. This is probably an argument for having multiple branches/organizations within a movement, so that some can try more radical strategies while other go for more mainstream appeal. Just happened on that, very interesting. Yet I think practically every movement is threatened by people pushing it too far, and having a race to the bottom and authenticity. That is one of its key challenges.